The innovation and market value found in extremity solutions is prompting a change of heart among major orthopedic firms. The Variable Angle Locking Hand System from DePuy Synthes features the company’s proprietary Variable Angle Locking technology, which enables surgeons to adjust the screw’s insertion angle to match the patient’s anatomy and fracture pattern. Image courtesy of DePuy Synthes. DePuy Synthes' BME ELITE Compression Implant is a plate-like, low-profile design in two- and four-leg straight configurations. Image courtesy of DePuy Synthes. 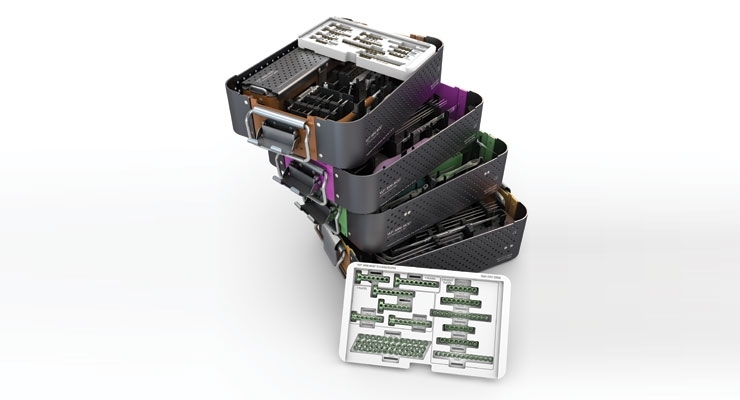 The VLP MINI MOD Small Bone Plating System from Smith & Nephew plc includes a customizable modular tray system. The solution is used for foot and ankle as well as hand and wrist fracture repair. 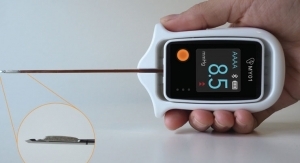 Image courtesy of Smith & Nephew. 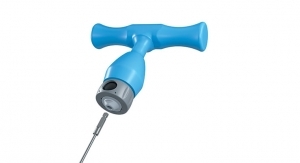 Zimmer Biomet’s Comprehensive Reverse Shoulder System features a micro humeral stem, humeral tray and bearing with vitamin E polyethylene, Versa-Dial glenosphere, 25mm mini baseplate with a 6.5mm central compression screw and four 4.75mm locking peripheral screws. Image courtesy of Zimmer Biomet. The caller sounded desperate. Yet there was also a bit of boldness to the voice summoning Steven S. Shin, M.D., to duty that day—an odd mix of despondence and daredevilry, tinged with just the slightest bit of angst. It was a paradoxical phone call of sorts, familiar in structure but almost surreal in tone, as if the caller was somehow directed to Shin. He wasn’t, of course, though it certainly seemed that way. The caller, a highly competitive amateur athlete, had fractured his thumb and wanted a quick fix to get back in the game. He contacted Shin, an Ivy League-educated orthopedic surgeon and hand consultant to five Los Angeles-area professional sports teams (the doctor deems retired L.A. Lakers shooting guard Kobe Bryant a “very down to earth and pleasant patient”). The athlete’s injury was fairly routine: He had sustained a Bennett fracture—i.e., a break and dislocation of his right (dominant) thumb metacarpal base. Common in hard-hitting contact sports such as football, boxing, and rugby, these highly unstable fractures typically extend into the joint between the metacarpal and wrist bone. Treatment is relatively straightforward, depending on the injury’s severity. Bennett fractures involving dislocations are usually surgically repaired using wires, plates, pins, or screws, while uncomplicated breaks are simply casted. Shin is an ardent hardware proponent, having fixed countless Bennett breaks with pins and casts during his 18-year medical career. He would have chosen that option for his recreational athlete, too, had the able-bodied man not begged for an expedited alternative to the traditional six-week healing process. Shin found that surrogate in the Mini TightRope product line from Naples, Fla.-based Arthrex Inc. Developed to treat carpometacarpal (CMC) arthritis, the Mini TightRope procedure stabilizes the thumb with a solid suture and small buttons after the trapezium is removed (this bone is usually extracted to relieve “grinding” pain). A FiberWire suture construct is passed through the first and second metacarpal bones and secured with an oblong stainless steel button on each side. The suture provides immediate support for the thumb, thereby sparing the patient’s own tendon. 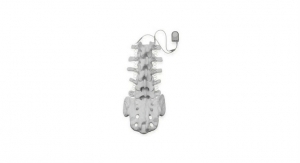 The product is considered a game-changer by many surgeons for its biomechanical stability (comparable to K-wire fixation), faster rehabilitation, and shorter recovery period. Patients undergoing the CMC Mini Tightrope procedure typically begin therapy in five to seven days rather than the conventional four weeks. Shin posed this question to his strapping patient-athlete, who “jumped” at the option without really knowing anything about the procedure. Shin used the same surgical approach for thumb CMC joint arthritis on the athlete’s Bennett fracture, first passing a FiberWire suture around the thumb metacarpal base to lasso a bone fragment into place. He tied the knot dorsally and buried it in the thenar muscles, then placed the Mini Tightrope across the bases of the thumb and index metacarpals to stabilize the thumb CMC joint. Within days of the surgery, the athlete was moving his injured thumb. Versatile products like the Mini Tightrope are likely to become more common in the coming decades with the growing prevalence of both traumatic and sports-related injuries as well as obesity, diabetes, and geriatric-exclusive conditions like arthritis, osteoporosis, and osteomyelitis. The global trauma and extremities market is expected to reach $15.9 billion by 2024,1 with internal fixation devices—particularly plates and screws—driving much of the growth due to their clinical benefits (shorter procedure times, expedited recovery, early functionality) and multifaceted design. Indeed, tradition is often forsaken in the extremities space to accommodate significantly smaller anatomies and more challenging repair jobs. Consider DePuy’s Variable Angle Locking Hand System, for example: Launched last summer, the device is comprised of 40 basic and specific plates for various types of hand fractures and hand sizes, thus enabling surgeons to adjust the insertion specific to the patient’s bone anatomy to improve stability. The first to feature 1.3 mm locking screws for hand plating, DePuy’s Variable Angle Locking Hand System also includes 1.5 and 2 mm variable angle locking plates. The thin plates have anatomic contours and smooth surfaces to minimize soft tissue irritation during contact with tendons. 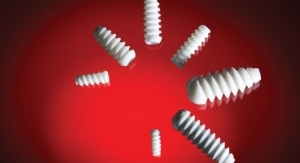 Recessed screw heads also reduce the potential for soft tissue irritation. The plates are available in both stainless steel and titanium, and intended for both lateral and direct dorsal application. 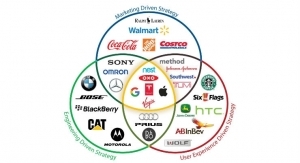 Markedly different, actually. The tibia and hip have relatively simple architecture—the tibia (shin bone) forms the knee joint with the femur and the ankle joint with the fibula and tarsus, while the hip joint connects the os coxal (hip) and femur, the latter being the longest, heaviest, and strongest bone in the body. The hand, conversely, is comprised of 27 distinct bones, each of which is a fraction of the size of a major joint connector. The scaphoid, for instance—the large carpal bone buttressing the radius below the thumb—is roughly the size and shape of a medium cashew. Such discrepancies in size and structure require creative yet comprehensive solutions that integrate fracture pattern, location, bone quality, and implant placement. One comparable elixir is offered by Addison, Texas-based OsteoMed, which manufactures a hand plating system that gives surgeons locking, non-locking, and cannulated repair options. 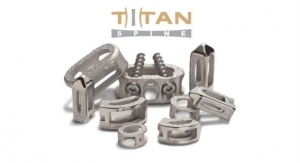 The solution encompasses five screw types, three K-Wires, 53 plates, and angled locking technology up to 22 degrees; the low-profile titanium plates come in four sizes (1.2-2.4 mm), and are anatomically contoured with a polished surface for biocompatibility with bone and soft tissue. Moreover, the system’s headless screws feature narrow trailing diameters, making them ideal remedies for distal interphalangeal joint injuries and scaphoid fractures. Structural diversity is also inherent in Acumed LLC’s Acu-Loc 2 Wrist Plating System, a solution designed to treat multiple fracture patterns of the distal radius and distal ulna. Offering surgeons 48 different wrist plating options, the Acu-Loc 2 features various anatomically pre-contoured plates that help restore original bone geometry and mend both intra-articular or extra-articular fractures. The system improves upon its predecessor (the original Acu-Loc) with a two-part cannulated compression screw that captures and stabilizes dorsal and volar fragments, and 2.3 mm locking variable angle screws designed to help capture specific bone fragments. Additionally, the compression screw—dubbed Frag-Loc—can be inserted through a small incision, making it a more attractive option for patients and surgeons riding the minimally invasive bandwagon. Nextremity is doing its part to raise the clinical bar with its Re+Line Bunion Correction System and Nextra Hammertoe Correction System. The Re+Line device is a low-profile tension-band compression plate designed to help surgeons perform precise, repeatable bunion correction procedures. The technology, developed specifically for small and large correction Chevron/Austin osteotomies, allows for medial plate positioning, and resists deforming forces while providing compression across the osteotomy site. The Re+Line system has been associated with faster healing, earlier weight-bearing and less postoperative pain compared with other surgical techniques. Some of those same clinical benefits are possible with the Nextra Hammertoe device, a system touted by the company as “the industry’s only adjustable two-piece hammertoe implant.” Completely reversible and fully adjustable in-situ, the product features a natural 10-degree angulation and a design that enhances precision, adjustability, bone-to- bone apposition, and stability. Studies have shown the Hammertoe device to be clinically superior to traditional Kirschner Wires (K-Wires), achieving a bone fusion rate more than five times higher than its conventional counterpart (84 percent vs. 16 percent). Patient satisfaction levels are better too, as recipients have reported greater pain relief, higher activity levels, and fewer related disabilities with the Nextra implant. So will carbon fiber technology and nickel-titanium alloys. Carbon fiber is a relative newcomer to the orthopedic arena, having been worshipped for years by the automotive and aerospace industries for its incredible strength-to-weight ratio. But it is quickly gaining favor with implant manufacturers for its high heat tolerance, elasticity, corrosion resistance, and radiolucency. 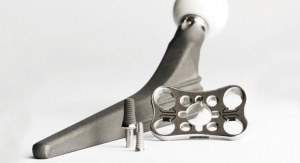 Helping spearhead the carbon fiber revolution is CarboFix Orthopedics Ltd. of Herzeliya, Israel. The company has developed continuous carbon fiber-reinforced PEEK (polyether ether ketone) implants that are stronger, more pliable, and more durable than traditional metal. In comparative fatigue experiments of Ø8.5 mm nails, CarboFix nails lasted more than nine times longer than stainless steel rods and 100 times longer than titanium rods, according to company data (4 million cycles vs. 440,000 and 40,000 cycles, respectively). The material’s radiolucency renders CarboFix implants nearly invisible on imaging scans, thereby allowing physicians to better gauge the healing process. The products, in fact, have contrived such an effective vanishing act that surgeons have dubbed the company’s carbon fiber nails the “invisible nail.” To keep them from being completely hidden, CarboFix implants are marked with faint radio-opaque markers, and some of the products have predrilled holes so they can be attached with standard metal screws. When combined with nickel, however, titanium becomes a radically different alloy, transforming itself into a virtual self-forming elastic. The amalgamated material, known as nitinol, essentially can change and recover its shape even in the face of opposing forces. It can recover up to 10 times more strain and possesses more deformability compared with traditional metals, enabling it to respond better to loading changes. A staple in the cardiovascular sector for at least two decades, nitinol is now finding more widespread use in orthopedics as a material for guidewires, staples, anchors, and internal fixation products. 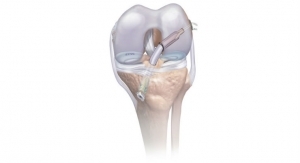 In bone fusion and fracture fixation devices, nitinol “provides both the capacity for sustained compression during postoperative healing and the opportunity to minimize device stiffness and mitigate stress shielding compared to rigid titanium implants,” according to an American Society for Metals paper. 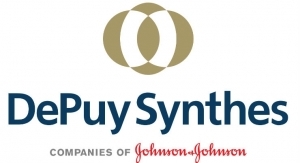 One of the first nitinol implant manufacturers was BioMedical Enterprises Inc. (BME), a privately held firm purchased by DePuy Synthes last summer for an undisclosed sum. The San Antonio, Texas-based company developed musculoskeletal implants to treat bunions, hammertoes, and other foot and ankle deformities as well as hand and wrist deformities; its products were sold ready-to-use on a sterilized, pre-loaded, fully disposable insertion tool. 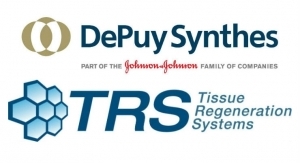 The deal boosted DePuy’s portfolio of foot, ankle, hand, and wrist products. Or, in the case of Zimmer Holdings Inc., both. 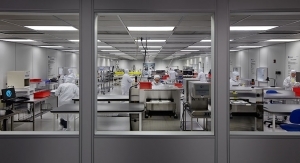 The company significantly expanded its reach into the global extremity market with the $13.4 billion purchase of former rival Biomet Inc. in 2015. The combined firm’s sports medicine, extremities, and trauma (SET) division is its third-largest unit, responsible for 21 percent of total company revenue in 2016, up from 20.2 percent the previous year and 16.3 percent in 2012.
Zimmer Biomet also augmented its SET portfolio with the April 2016 purchase of Cayenne Medical Inc., a designer, developer, and seller of soft tissue repair and reconstruction products for knees, shoulders, and extremities; and its global distribution agreement with Nextremity Solutions. The October 2016 deal positions Zimmer Biomet to distribute Nextremity Solutions’ Nextra hammertoe correction system, MSP metatarsal shortening system, Re+Line bunion correction system and Arcus stable system. 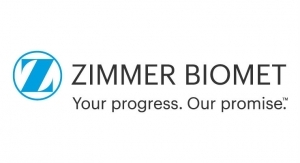 Organic growth at Zimmer Biomet stems partly from the company’s foray into patient-specific instrumentation and reverse shoulder arthroplasties. Debuting in the United States in 2003, reverse shoulder arthroplasties have become more prevalent in the last decade, thanks to a rise in sports-related and traumatic injuries (particularly rotator cuff tears), age-related conditions (arthritis), and better fracture management. 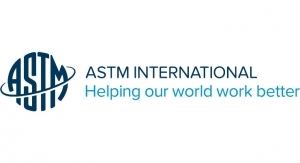 The global market for this procedure is estimated to swell more than 12 percent over the next three years, with stemless designs fueling much of the growth. In tapping this previously underserved sector, Zimmer Biomet developed the Trabecular Metal Reverse Shoulder System, a solution featuring Trabecular metal base plates and 60-degree humeral components designed to reduce the likelihood of scapular notching in patients with rotator cuff deficiencies. Two years ago, the company began offering the system with Vivacit-E (vitamin E) ultra-high molecular weight polyethylene liners, an option that gives surgeons a high-tech bearing surface for better oxidative stability and low wear. The device has been used in more than 32,000 procedures worldwide since 2006.
Zimmer Biomet’s most recent shoulder market entry is the Comprehensive Vault Reconstruction System (VRS), a patient-matched glenoid implant for victims of severely deficient rotator cuffs and/or extensive bone loss. 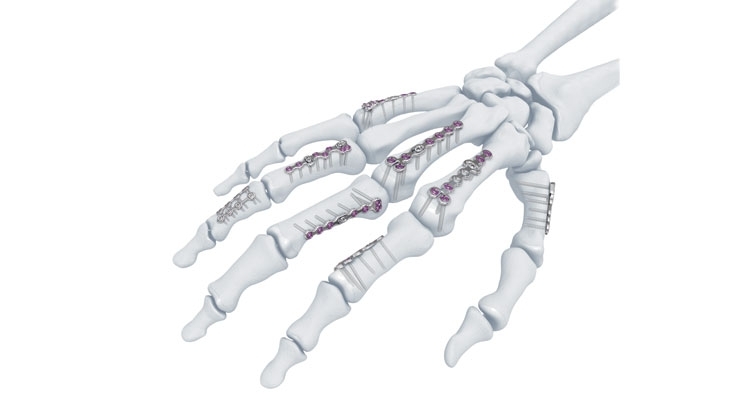 The system uses computed tomography imaging and advanced three-dimensional reconstruction techniques to create an implant model that helps surgeons plan for the placement, size, and trajectory of the central and peripheral screws, ensuring the best possible fixation. The model is used to create customized implants that fill bone voids and can accommodate a bone loss envelope of approximately 50 by 50 by 35 mm based on pre-surgical evaluation. When enough bone exists to enhance fixation in the deficient glenoid vault, surgeons may add a custom boss to the implant along with a matching custom guide. The implant model, bone model, and custom boss reaming guide are all made from a sterilizable material and are intended to be single-use disposable instruments as well as tools for the initial plan review. While such trump cards are becoming a fundamental part of most large-joint solutions, they have yet to really infiltrate the extremity sector. 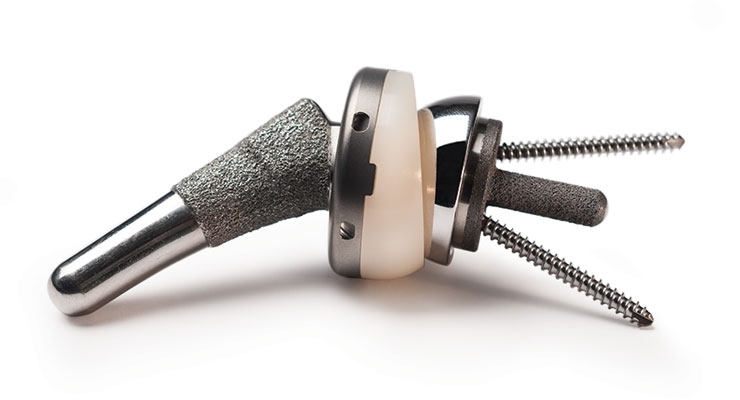 Zimmer Biomet’s PSI Shoulder and Signature Glenoid system are among the few offerings available for small bone specialists; other options are provided by Wright Medical Technologies Inc., which markets the PROPHECY patient-specific total ankle guides, and Additive Orthopaedic LLC’s customized 3D printed titanium digital fusion implant. 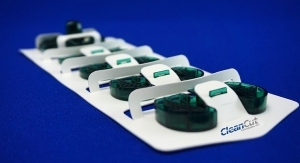 The latter product received U.S. Food and Drug Administration (FDA) 510(k) clearance last summer. 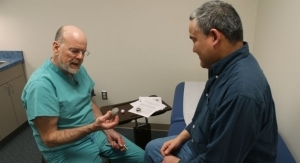 3D printing is giving patients further recourse against hard-to-treat conditions as well. Last year, Zimmer Biomet introduced a 3D-printed technology for joint fusion therapy in the foot and ankle, and Chinese doctors used 3D-printed grafts in two ankle joint deformity surgeries. 4WEB Medical has also targeted the planet’s $3.82 billion foot and ankle device market with its line of 74 osteotomy implants. A lower extremity focus is bound to serve these companies well, as the worldwide foot and ankle sector is forecast to grow 7.2 percent annually over the next three years to reach $5.41 billion by 2020. Research firm Markets and Markets attributes the surge in market value to an increase in sports-related injuries, diabetes, and arthritis cases; an influx of new products; and a greater number of injured baby boomers. Smith & Nephew plc is taking aim at this lucrative market through the toe. 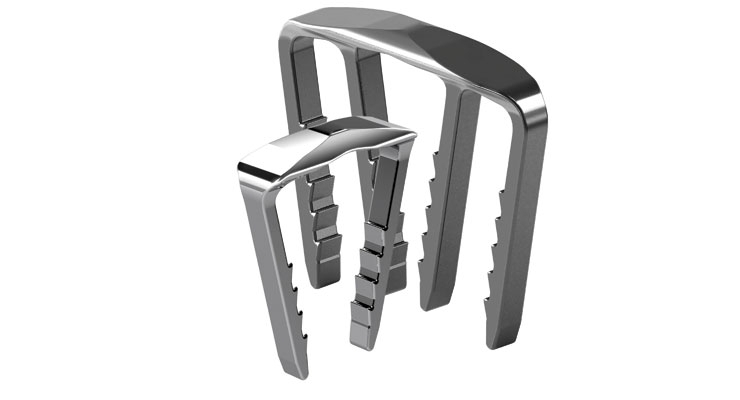 The United Kingdom-based orthopedic behemoth developed a hammertoe solution comprised of three separate repair options. Its HAT-TRICK Lesser Toe Repair System features products for metatarsophalangeal ligament repair and reconstruction, a metatarsal osteotomy guide, and a revisable, all-PEEK implant for proximal Inter-phalanges fusion. The company is also fighting for market share with the help of its BST-CarGel, a first-line cartilage repair product it acquired in early 2016 from Montreal-based Piramal Healthcare Limited. 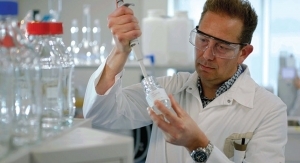 Approved for use in various countries, including Australia, Canada and most of Europe, BST-CarGel is a biopolymer-based solution that is mixed with a patient’s blood and implanted into the joint after a microfracture procedure. The solution can be delivered arthroscopically to treat damaged synovial joint cartilage in the knee, hip, ankle, and shoulder. 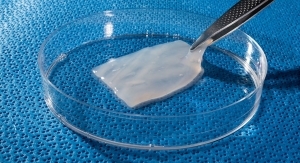 Once implanted, it acts as a scaffold, adhering to the cartilage surface to stabilize the blood clot while new cartilage is regenerated. Innovation With Speed - Ryan D. Schlotterback, chief commercial officer of Nextremity Solutions Inc.